Home › Blog › We Design Experiences! 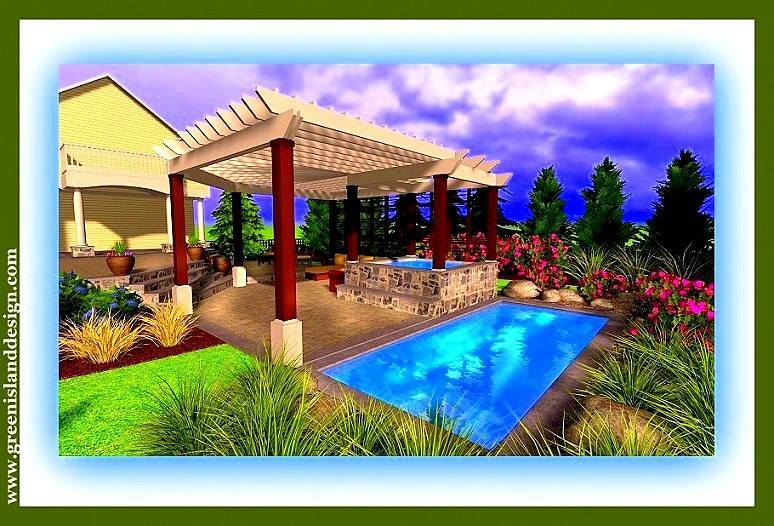 With this concept, we’ve married the usable space with the surrounding radiance of nature, and kept the forms of the pergola, patio, spa and resistance lap pool simple, to reflect the easy rhythm of outdoor living. www.greenislanddesign.com — in Hewlett, NY.